Weekend Breakfast finished until 12:00 at noon. 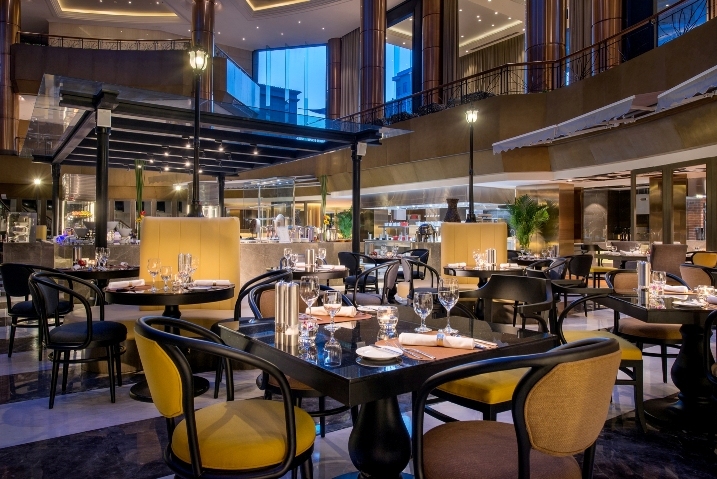 The Dome Brasserie, where guests dine under a 30m2 chandelier, boasts four open kitchens and a degustation of flavors. 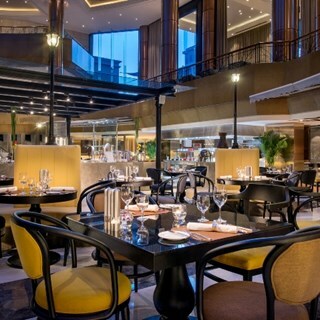 Impeccably designed by famous French interior designer Pierre Maciag, Dome Brasserie combines modern design in French style with interesting street lamp and concepts of this centuried city in the center of China—coal, cotton and rail track.